MAKE GOD SMILE! 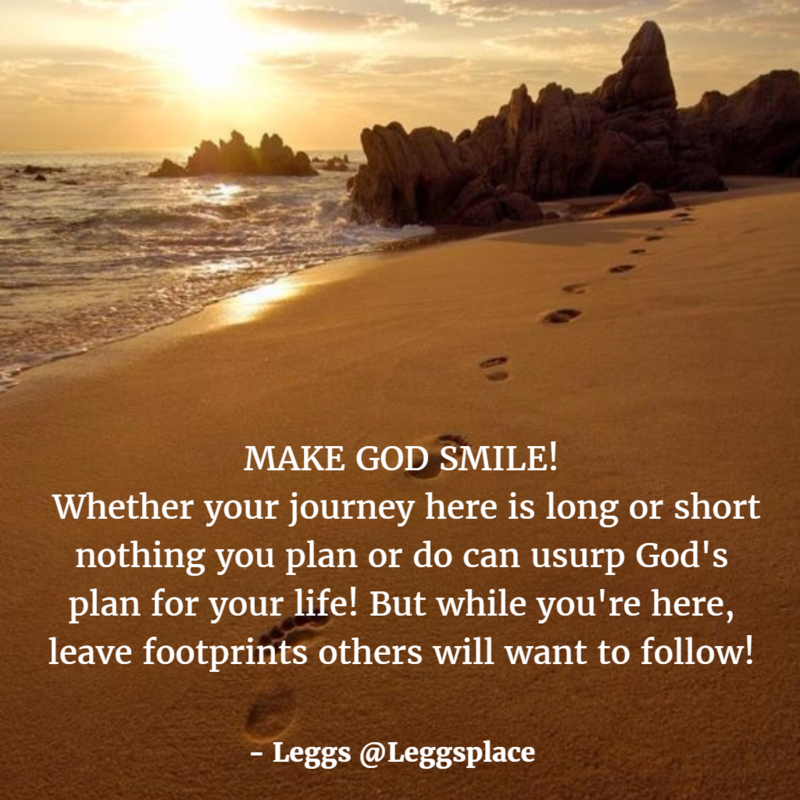 Whether your journey here is long or short nothing you plan or do can usurp God’s plan for your life! But while you’re here, leave footprints others will want to follow!